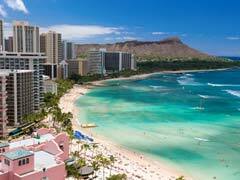 The islands of Hawaii make a perfect vacation to paradise a reality. 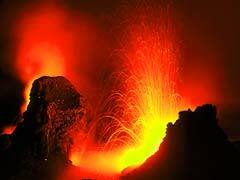 Whether you cruise to Hawaii islands, fly to the islands, island hop or just concentrate on one area for the duration, your Hawaii vacation can be all you want it to be. With so much to see, ocean playgrounds to explore and the variety of the islands within your sights, all you have to do is enjoy the ride. Called the heart of Hawaii, the island of Oahu is home to not only most of the Hawaiian population but the world famous Waikiki Beach and the memorials housed in Pearl Harbor. As the start and end point of America’s involvement in the Second World War, Pearl Harbor has long been considered a prominent Hawaii tourist attraction and has been visited by millions of people. Waikiki beach isn’t just a beach, as the area also houses the Honolulu Zoo, the Waikiki aquarium and is well known for its nightlife and Hawaiian music, but it is also a wonderful place to kick back and relax or take that first surfing lesson. Diamond Head or Leahi as the locals call it is a 760 foot crater and a state monument that is popular for hiking and its impressive views of Honolulu. This is another of the famous Hawaii tourist attractions that can be found on the island of Oahu that makes the must-do list for many tourists. For all things pineapple, including the world’s largest maze, head on over to the Dole Pineapple Plantation or for a museum and historical home tour don’t miss Queen Emma Summer Palace, the former summer residence of the queen. 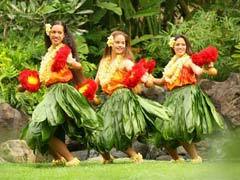 Hawaii tourism attractions that show the cultural aspect of the state like the Polynesian Cultural Center are also popular places to visit on the islands. Here you can see eight different Pacific Island villages, many exhibits, an authentic luau and all things Hawaii all in the 42 acre complex. Travel to Hawaii that starts in Oahu can also include dolphin cruises, sailboarding, whale watching, turtle watching and scuba diving. If you would like to explore under the sea but don’t scuba dive, not to worry, the Atlantis Submarine deep sea dive has you covered as you check out the shipwrecks, marine life and other wonders below the ocean waves. The Magic Isle is a lovely place to visit during your Hawaii vacation that offers many distinct Maui tourist attractions to enjoy. The historic whaling village of Lahaina is today on the National Register of Historic Places and offers charming buildings, cobble-stoned streets, a whaling museum and the old whaler’s village and, in season, whale watching opportunities abound. When in Maui you can’t bypass the white sand beaches of Kaanapali complete with crystal clear waters and a daily cliff diving ceremony, or the Road to Hana, a scenic drive like no other that takes travelers to Hawaii on a breathtaking trek towards the village of Hana. 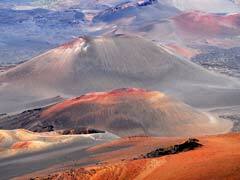 Haleakala National Park is home to Hawaii’s highest peak, Mt. Haleakala that sits amid 30,000 acres of lush foliage, waterfalls, streams and amazing sun sets/rises that can be seen from its summit. The three visitor centers, hiking trails and horseback trail rides all combine to make this a must-do on your Maui list. Hawaii tourism not only depends on the beauty of the state, but also the sacred sites that are associated with its peoples. The Iao Valley State Park is one such place that features the 1200 foot tall Iao Needle and many hiking trails, within the sacred valley that also has historical significance to the state. Perhaps the most famous coastline in the state belongs to the island of Kauai, the island of discovery, so nicknamed for the varied natural beauty that can be found there. Here your Hawaii vacation can take a scenic turn when you visit the Napali Coast, with its green cliffs, lush vegetation, waterfalls and soaring cliffs. Boat tours, kayaking and air tours are offered to better see the coast from different perspectives. Waimea Canyon has been called the Grand Canyon of the Pacific and while it is not as grand as its mainland sister, it offers splendid panoramic views of crags, buttes, deep valley gorges and inland vistas. If you travel to Hawaii to backpack, this is the place as it boasts many trails and look out points throughout. The beautiful family-friendly beach of Poipu offers visitors the chance to swim with green turtles, see the endangered Hawaiian Monk Seals in their protected habitat and in season, go humpback whale watching. No trip to Hawaii is complete without seeing one of the most remarkable Hawaii tourist attractions on any of the islands. Hawaii Volcanoes National Park allows tourists to see the Kileuea Volcano as it erupts boiling lava into the sea, take a trip through a walk-in lava tube, see volcanic craters, deserts and rainforests that have been burned by the lava flow and get as up close as possible to the most active volcano on earth. Another interesting Hawaii tourism destination on the Big Island is the Akaka Falls State Park where a short hike amid the orchids and bamboo groves will bring you to twin waterfalls that cascade into the deep chasm below. Of course, Kona on the big island is also synonymous with coffee and is another popular destination for many on a Hawaii vacation. For a timeless and true experience while traveling to Hawaii, there is no better island to visit than Molokai. Here time seems to stand still, things are done in the old-fashioned way, there is hardly any traffic, no crowds and no traffic lights required. Here a Hawaii getaway takes a relaxing turn as visitors can scuba dive along the 28 mile long continuous fringing reef (the longest in the state) where you can swim with the colorful fish, rays and turtles that call it home. 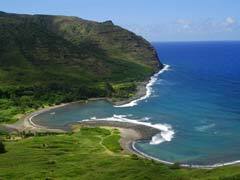 Also on the island is the Kalaupapa National Historic Park, one which is only accessed by mule that takes visitors along the sheer cliffs with spectacular ocean views by mule across the island. 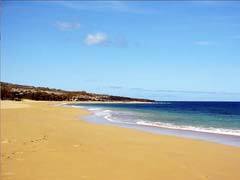 Lanai is another gem in Hawaii tourism’s crown and another quiet and beautiful island in the chain. Here visitors can see the lunar landscapes, boulders, rock towers and spires in the barren Keahiakawelo Park or check out the 8 miles of deserted and windy beach at Kaiolohia which is also called Shipwreck Beach. From the beach you can see Molokai and Maui when you are not busy checking out the tide pools. 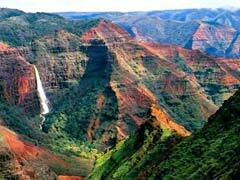 Hawaii is a state of variety and amazing natural attractions. It is paradise in the Pacific and it is all yours to discover.